Pray for all the resources and creativity needed to fulfill the intentions of God in the state of Wisconsin. 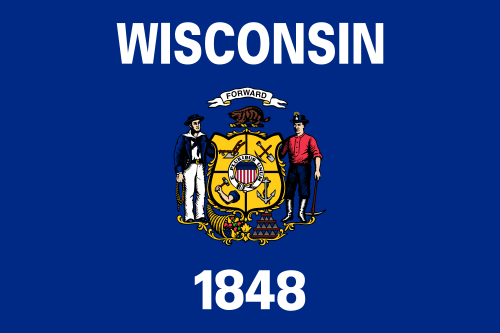 State Information: In 1634, Frenchman Jean Nicolet became Wisconsin’s first European explorer. The French controlled the area until 1763, when it was ceded to the British. 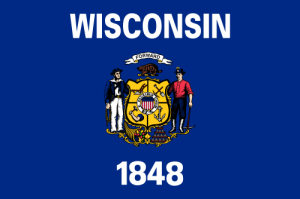 The state’s name is an English version of a French adaptation of an Indian name said to mean “the place where we live.” The Wisconsin Territory was formed in 1836 and was admitted into the Union as the 30th state in 1848. With the nickname “America’s Dairyland,” it’s no surprise that Wisconsin is one of the top producers of milk, cheese, and butter in the country. In fact, the loyal fans of the Green Bay Packers football team call themselves “cheeseheads.” Milwaukee, the state’s largest city, helps make Wisconsin one of the largest manufacturing states in the nation. The state capital, Madison, is home to the University of Wisconsin. The flower of the “Badger State” is the wood violet and the state bird is the robin.